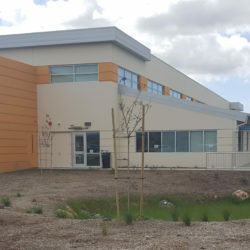 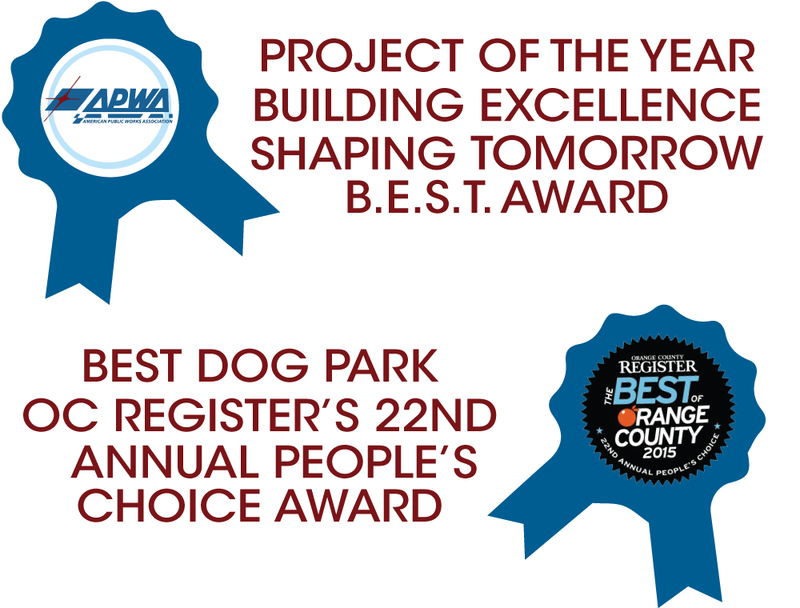 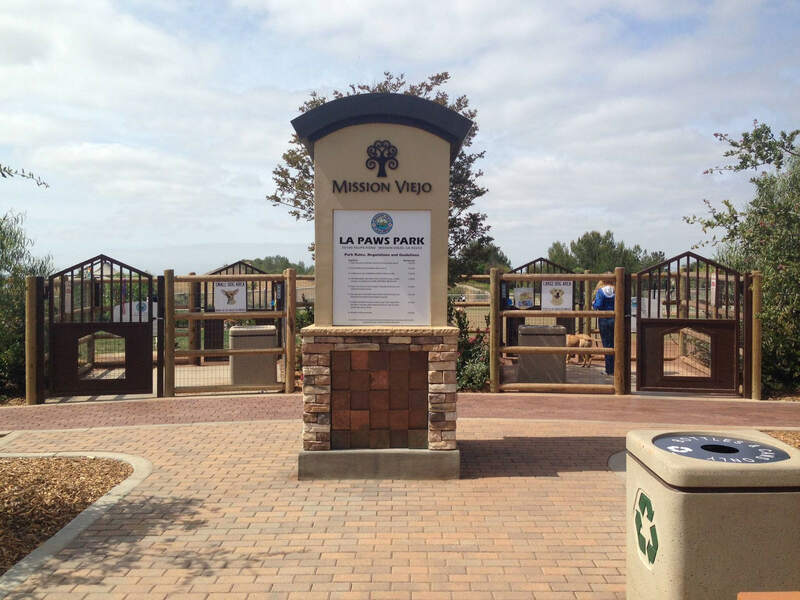 La Paws Park, Mission Viejo’s new dog park located nearby the intersection of Felipe and La Paz Roads, opened to the jubilant yips and woofs of the city’s canine population and their humans in April 2014. 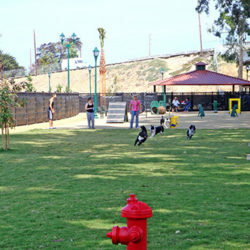 The six-acre park boasts three separate areas for large dogs, small dogs, a single dog area and a gravel parking lot that accommodates up to 42 vehicles. 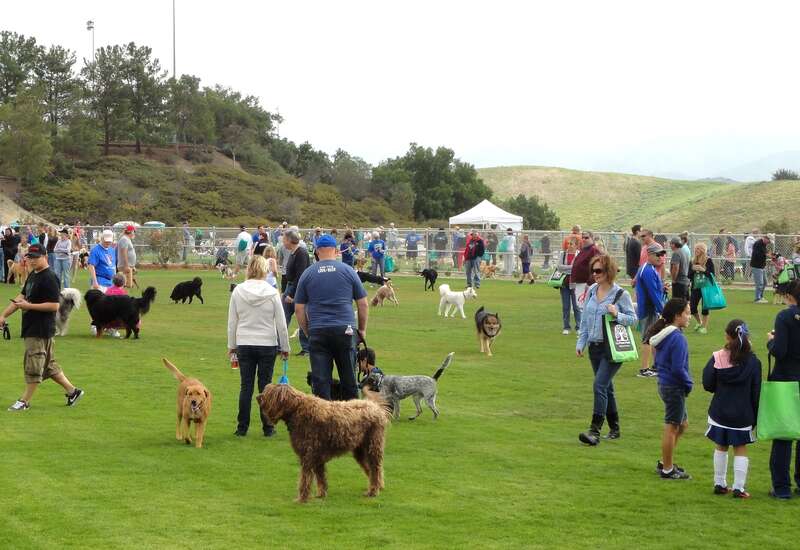 Dogs can run freely on the large, flat expanses of turf within each area or be led by their humans on the decomposed granite paths along the fence. 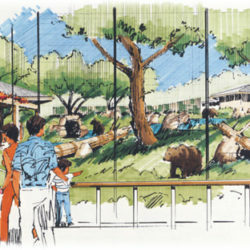 The areas are divided by 4-rail lodgepole fencing, covered with steel mesh. 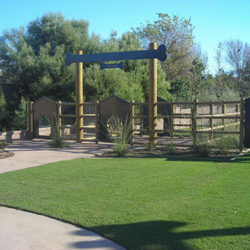 Seating areas and shade structures throughout the park offer venues for socialization and relaxation. 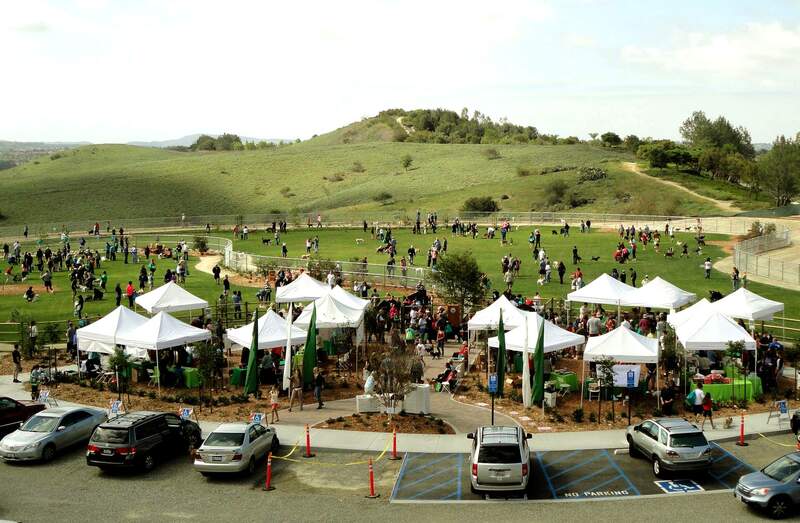 The main entry plaza has an open, decomposed granite multi-use area for special events. 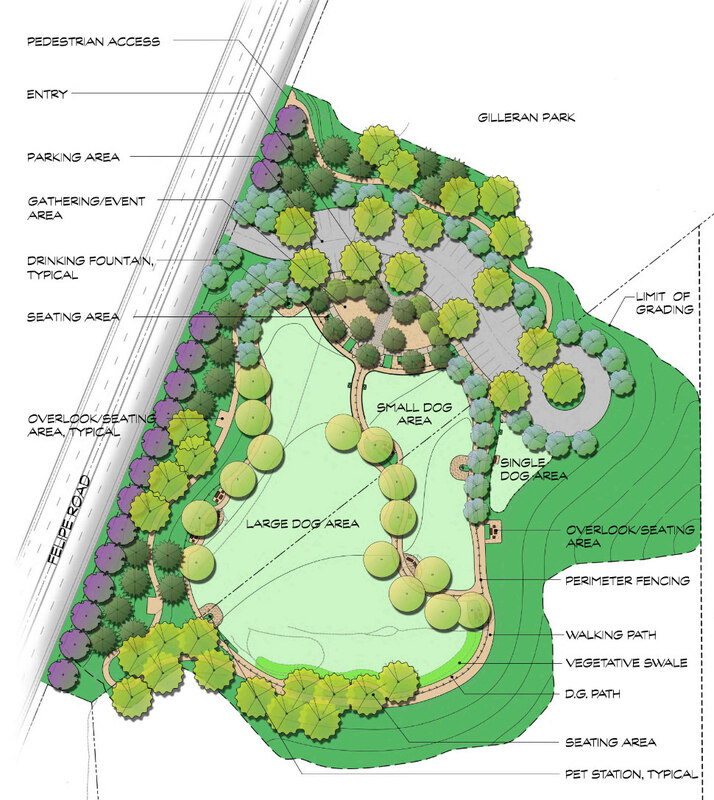 A walking trail circles the perimeter of the dog park, offering views into the park as well as panoramic vistas of the mountains and naturally vegetated slopes and ravines.